This classic MY LITTLE PONY character makes her furry friend debut! 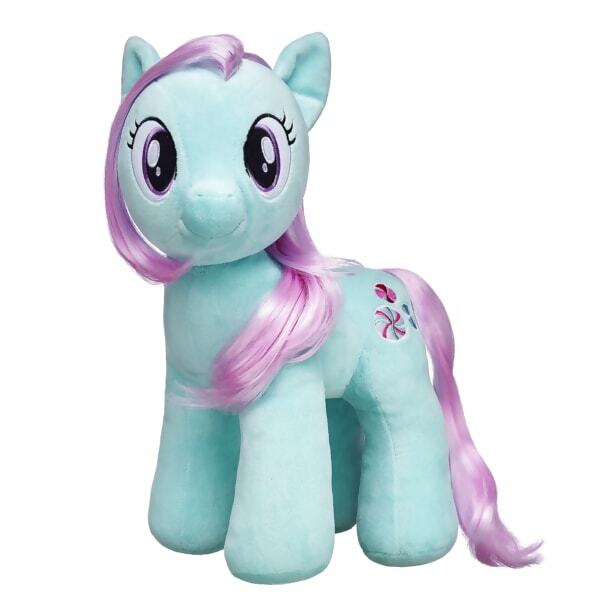 MINTY has soft cool mint-colored fur and a long pink mane and tail. The peppermint candies on her cutie mark let everyone know how sweet she is! 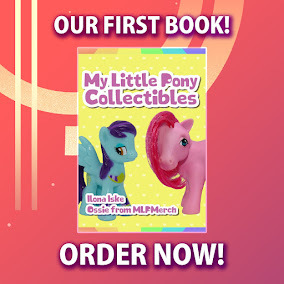 They are the same quality as build-a-bear's previous ponies, and were so much fun to make. Here's hoping for more pony releases and/or re-releases for non-mane 6 ponies. Bought 2 ponies, one Muffin aka Derpy.and Minty Mint both at $30. It was their black Friday sale BOGO plus Free shipping.